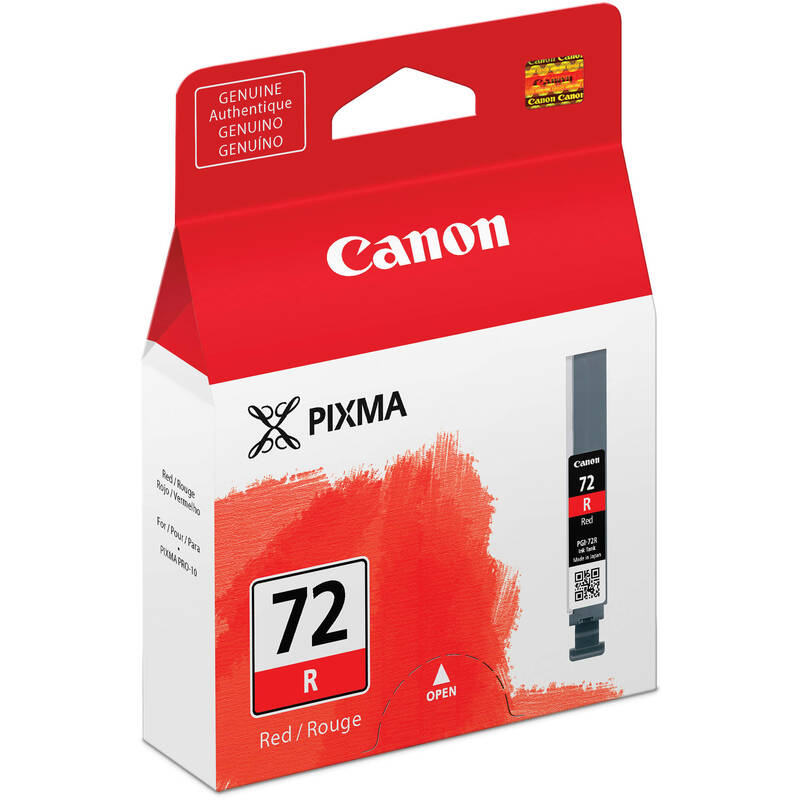 The LUCIA PGI-72 Red Ink Tank from Canon is compatible with the PIXMA PRO-10 Printer. It features pigment-based ink and Canon's FINE (Full-photolithography Inkjet Nozzle Engineering) technology which ensures accurate ink placement. Box Dimensions (LxWxH) 5.45 x 4.0 x 1.2"
LUCIA PGI-72 Red Ink Tank is rated 5.0 out of 5 by 5. Rated 5 out of 5 by Anonymous from Outstanding product The Canon Lucia Ink Tanks are all great ink carts for my Pro 10. The service from B&H is outstanding as always. I won't use anyone else for my photographic materials. Rated 5 out of 5 by Cindy from The best ink ever! This ink along with the other color variations are excellent!